In a shocking and unnecessary development, Superman bids farewell to ‘Truth, Justice and the American Way’. 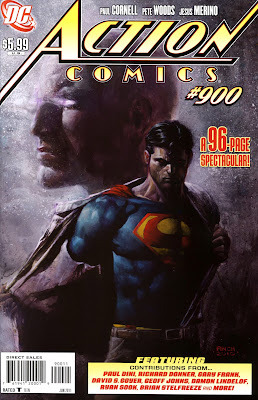 Published last Wednesday, the landmark historic 900th issue of Action Comics exploded with one hell of a shocker that even a cynical person as myself had a problem wondering how they gonna ret-con this one: the Man of Steel will be renouncing his American citizenship! 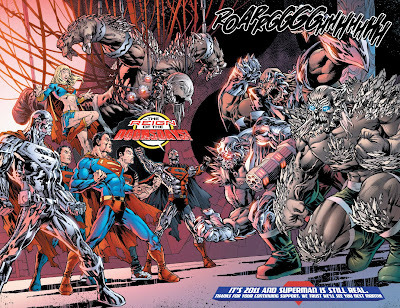 Now that's a bigger story than, say a tons of Doomsday appearing at the same time. 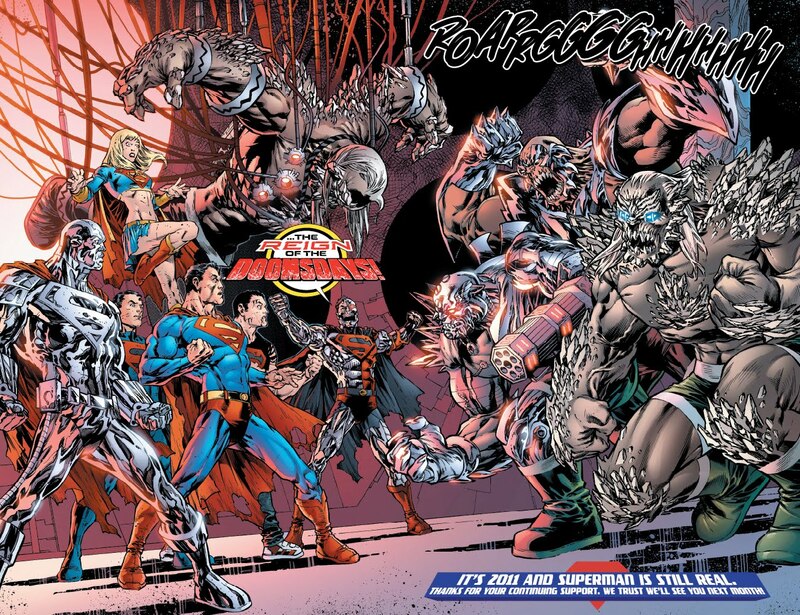 Oh wait, that actually did happened in the same issue. 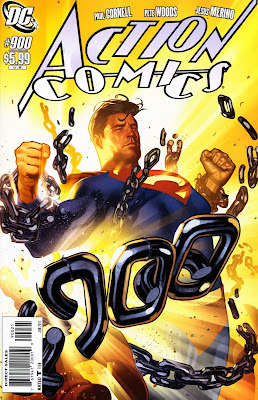 But it is in the specially commissioned short story written by writer David Goyer and artist Miguel Sepulveda that the real shocker arrives. 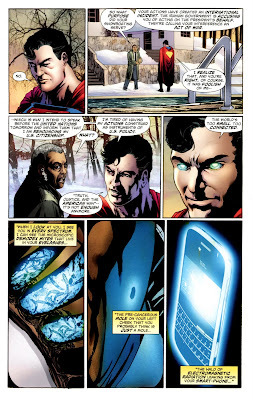 In the nine-page story entitled "The Incident", Superman meets Gabriel Wright, the national security advisor to the President of the United States over an international incident caused by the mere presence of the Man of Steel during a demonstration in Tehran, Iran, against Iranian President Mahmoud Ahmadinejad’s regime. "I intend to speak before the United Nations tomorrow and inform them that I am renouncing my U.S. citizenship. I’m tired of having my actions construed as instruments of U.S. policy. 'Truth, Justice and the American Way' — it’s not enough anymore. The world’s too small. Too connected." 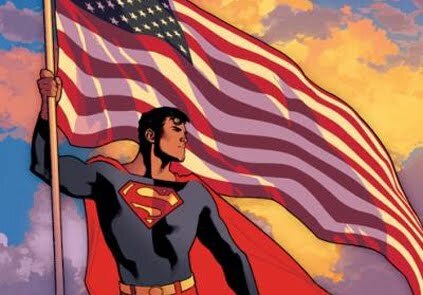 SO I guessed that's it for those images with Superman holding the American flags. 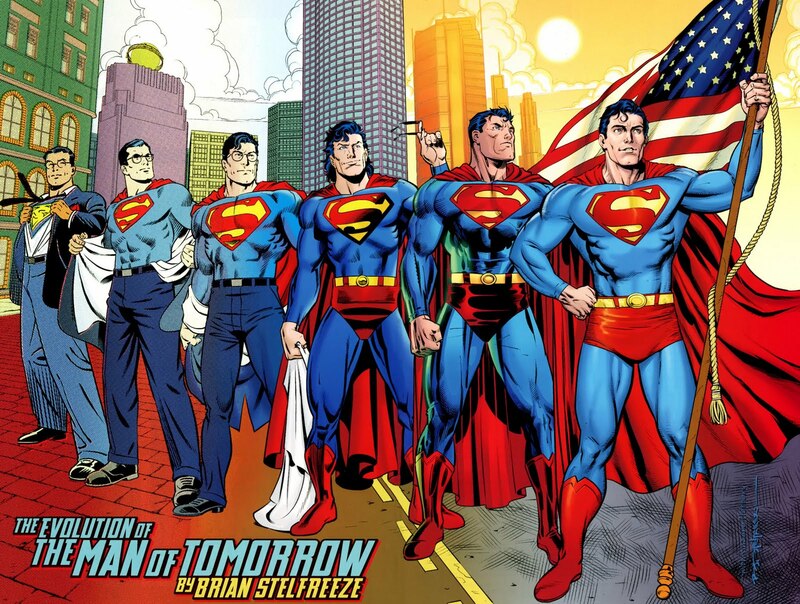 Thankfully, artist Brian Stelfreeze presented us with a probable last look at that in the issue, depicting the evolution of Superman throughout the decades, drawn in the art styles of some of Superman’s most well-known artists. 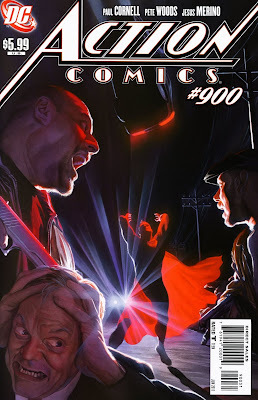 Incidentally, the 900th anniversary issue packed quite a punch in its mega-sized load. Apart from the team of David Goyer & Miguel Sepulveda, the issue also featured short stories by Damon Lindelof & Ryan Sook, Geoff Johns & Gary Frank, Paul Dini & RB Silva, and a special story that is presented in a screenplay format by Richard Donner and Derek Hoffman alongside storyboards by Matt Camp. 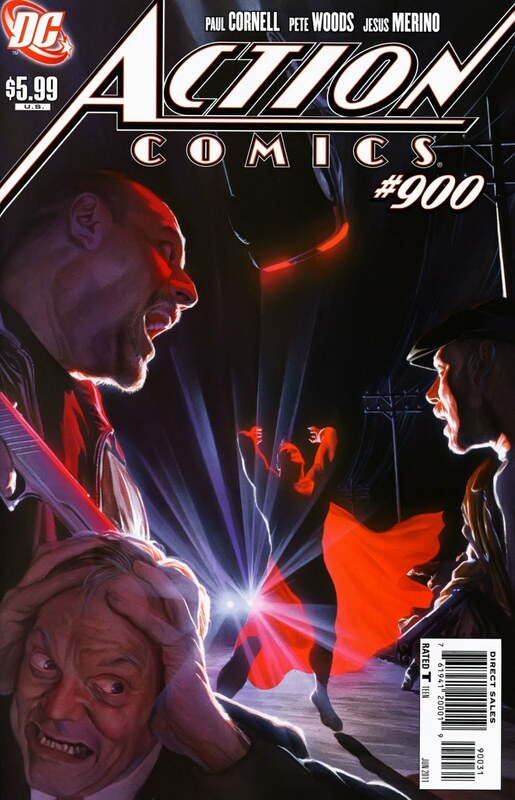 Not to mentioned the three covers of the issue. 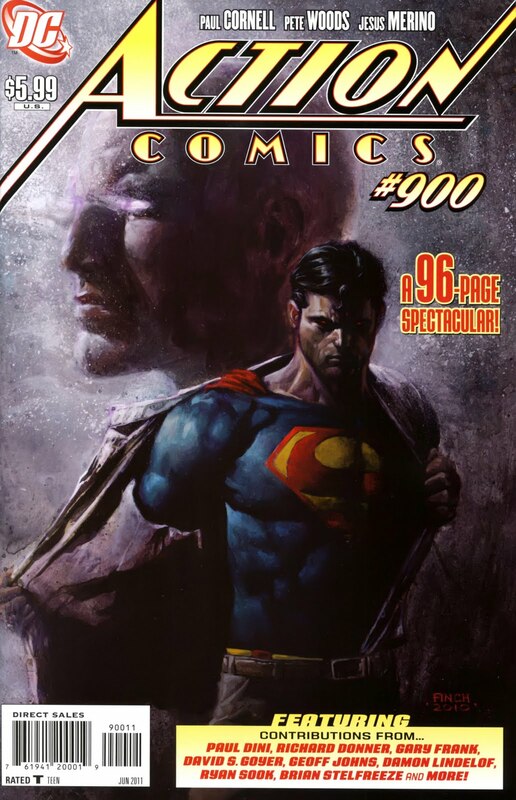 With the regular cover painted by David Finch, two variant covers has been illustrated by Alex Ross and Adam Hughes. Hit the jump to check them out.